Not only are we enhancing the traditional route to growing the economy, but we have built and uncovered several additional pathways. Looking back on how the project has grown and evolved so far, I’m happy to say that with the help of our dedicated initiative partners – the City of Phoenix, Maricopa County and the Arizona Commerce Authority – not only are we enhancing the traditional route to growing the economy, but we have built and uncovered several additional pathways to achieving success for individuals, businesses and the Greater Phoenix region. I couldn’t be more proud of the dynamic Greater Phoenix Chamber of Commerce economic development team, which works tirelessly visiting businesses and connecting them with resources; spearheading initiatives to promote a healthy workforce and bringing industry-specific teams of business, education and government leaders together to strengthen those respective sectors and increase their competitiveness nationally and internationally. Regardless of the sector, the Phoenix Forward Industry Leadership Councils all have different priorities but one common challenge – access to a pipeline of qualified employees. Born out of that need was the Greater Phoenix Chamber Foundation, which carries out the charitable and education objectives of the Chamber by conducting research, forming partnerships and hosting events focused on education, workforce development, wellness and community development. Foundation research has shown that the demand for industry-specific training has outpaced availability, which led to the formation of five industry-specific workforce collaborative groups, focused on aligning employer needs with education and training provider outcomes to address talent shortages in the Greater Phoenix region. The Foundation also launched Wellness AtoZ, a program aimed at making the Greater Phoenix region known as a destination for healthy talent and a healthy community by offering free, complementary wellness solutions to all businesses. These economy-growing outcomes represent only a small portion of the work occurring under the Phoenix Forward umbrella. There’s so much more. Phoenix Forward not only assists businesses individually, but advocates at the state and city levels for a pro-growth business environment, devoid of barriers and restrictions. Just this year, our Chamber public affairs team had major pro-business legislative victories. Perhaps most significant among those was the passage of SB1406, which provides common sense solutions for businesses striving to reach compliance with the Arizonans with Disabilities Act, while reducing the ability of unscrupulous lawyers to file bogus “pay for compliance” schemes. In addition, the Chamber proudly supported targeted tax reform such as HB 2191 and SB 1416, which continue to spur economic development, specifically in manufacturing and start-up entrepreneurship. The Business Retention and Expansion (BRE) teams under Phoenix Forward recently collectively completed their 2,000th business outreach visit with companies in targeted industry sectors. The BRE teams assess pain points businesses are experiencing and barriers they face in growing and expanding. Once those items are identified, efforts are made to connect them to the resources they need to overcome their challenges. Since the start of Phoenix Forward, these teams have helped companies find employees, provided expertise through the city’s Management Technical Assistance Program, connected companies to grants to train existing employees and helped solve parking challenges and a wide variety of other issues. In addition, industry intelligence is collected during BRE visits which is aggregated with partner data and analyzed to identify trends and strategize on key economic indicators. The business community feedback on these visits has been very positive. Nancy Salmon, vice president of communications for Hacienda HealthCare, has this to say of her experience working with the Chamber’s and City of Phoenix’s BRE teams. “We thank the Chamber and its Phoenix Forward initiative for helping Hacienda HealthCare connect with the City of Phoenix to address parking challenges. Special thanks to Greg Tilque with the Chamber and Pam Lindley with the city for their incredible follow-through. We are grateful for their dedication to the Phoenix business community,” Salmon said. There are many more Phoenix Forward success stories out there and even more waiting for us to create. Recently collected Phoenix Forward data tells us 87 percent of companies rated the business climate as “excellent” or “good.” Two-thirds of those companies project revenue to increase in the next 12 months. This tells us and our Phoenix Forward partners that our efforts are working and that we must continue our focus on growing the Greater Phoenix region’s economy from within. The only question is: Are you ready to be a part of it? 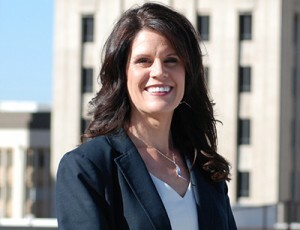 – Jennifer Mellor is Vice President of Economic Development for the Greater Phoenix Chamber of Commerce.